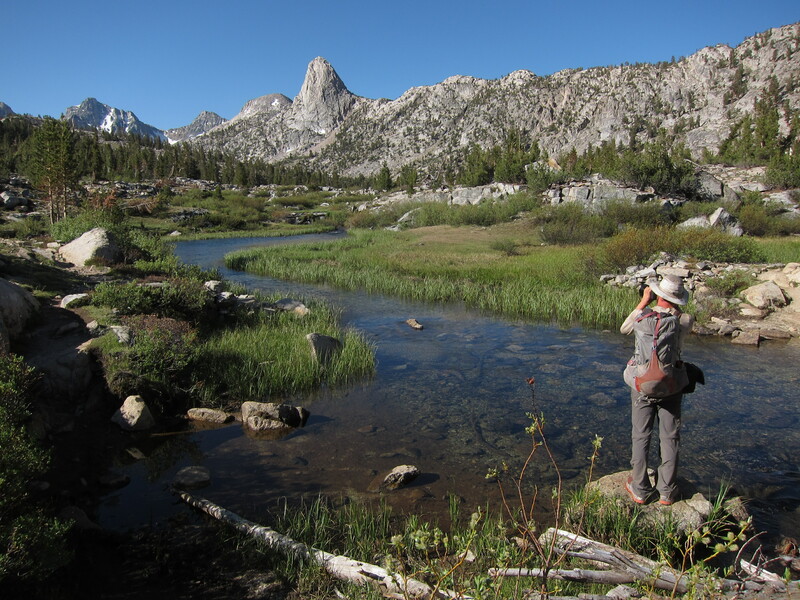 Completing the Pacific Crest Trail strengthened our desire to venture into the wild again. 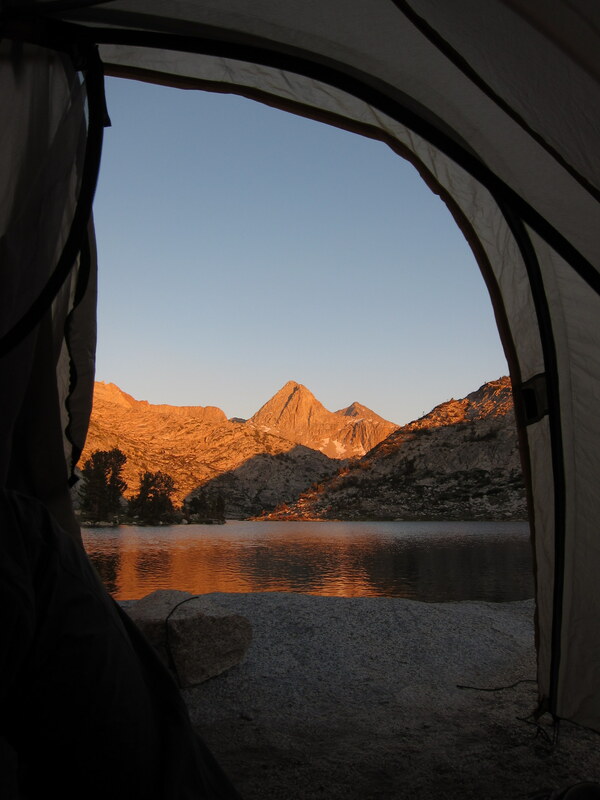 We love the simple lifestyle, beautiful landscapes, and daily surprises of life on the trail. After much research, we have determined our next adventures! In 2013 we plan to thru hike two more long trails! In the spring we will walk the entire Appalachian Trail in the eastern United States. Then, come autumn, we will travel to the southern hemisphere and become some of the first people to thru hike the recently opened Te Araroa trail, which spans the full length of New Zealand. 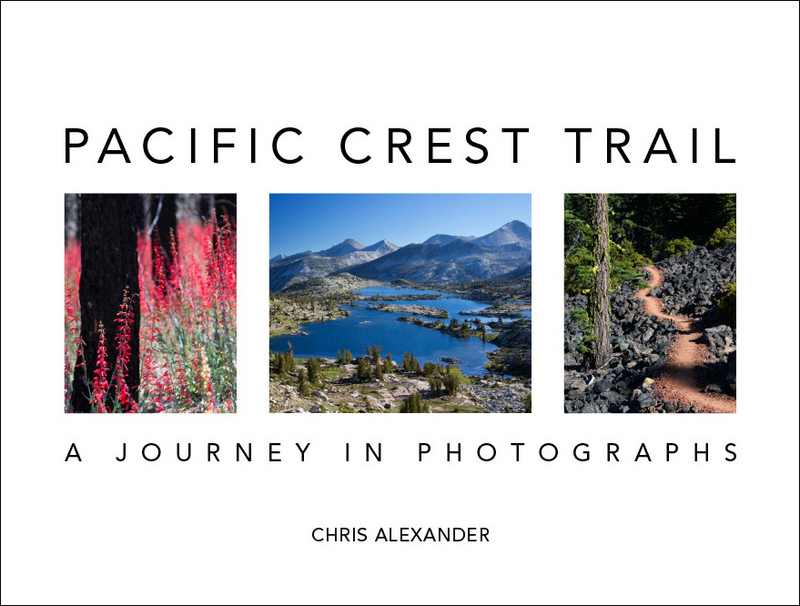 The responses to our Pacific Crest Trail stories and photos were overwhelmingly positive. We were touched by your messages and will keep sharing future adventures with you via blog posts. Those posts will, however, appear under a new banner. We have outgrown mexicotocanada.com and are moving to http://wanderingthewild.com. We have already transferred your email subscriptions to the new site. If you read the blog through a bookmark or RSS feed, please update the URL to: http://wanderingthewild.com. In addition to redesigning the website, we recently added pages describing the Appalachian Trail and Te Araroa. We encourage you to take a look around. In order for us to follow our dreams and for this lifestyle to work in the long term, we need to become financially sustainable while hiking. We are looking for food, gear, flight, and other types of sponsors. If your business would like to sponsor us, please comment below or email me at: anna@wanderingthewild.com. If you are not in a position to sponsor us, simply sharing our blog link or photo book link with as many people as possible would be greatly appreciated. Thanks for your support! We’re excited for the many adventures which lie ahead! Beautiful experience… great experience for anyone and everyone. It’s such fun to share all the wonderful things we see. The Appalachian Trail and Te Araroa should be brimming with beauty! You will have to visit my dad when you are on the PA/MD border. He loves your blog and would give you a ride to town. We plan on hiking a little of that area around the 4th of July. Hopefully we’ll see you then. Yay, thanks! We haven’t planned our AT hike in detail yet, but when we do, we’ll share it on this blog and work in as many visits as we can. It’s great to hear that your dad is reading, too. Maybe you should think of launching a Kickstarter? Good idea, Anne. We will definitely consider that as our plans take shape. It seems Kickstarter has worked for many people. THAT is GREAT news!………Triple Crown??????????? 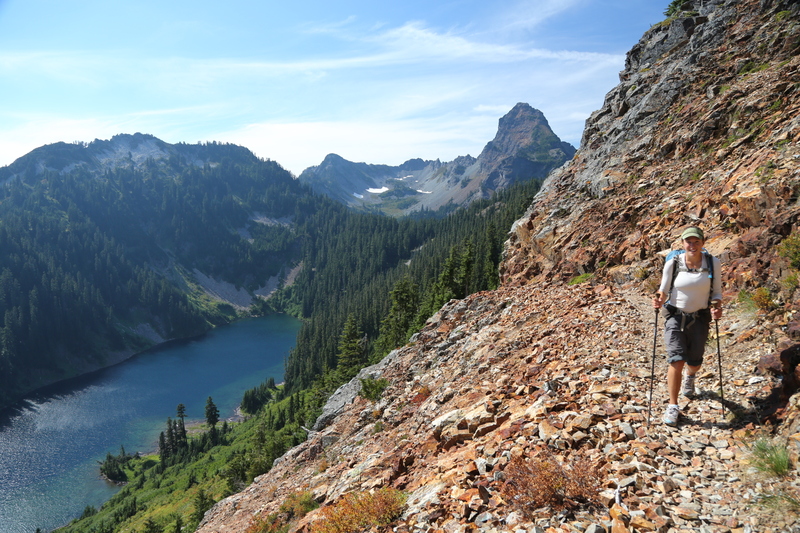 Having to put my next PCT hike into 2014, I’ll be e-hiking with you next year…Yeahhooo! We may instead end up with a different sort of crown, one that leans towards New Zealand! But who knows, the CDT certainly is tempting as a future hike. We’ve heard the wildlife is amazing on that trail. I’m in envy. I look forward to your new adventures. Thanks Gary! We are really excited to get back out into the wilderness and have new adventures. This is the right time for us to hike, so we decided to go for it! wow! that’s quite a plan you’ve come up with for the year. i can’t wait to see the pictures from new zealand. It’s a full plate of adventure! New Zealand’s been at the top of our list for a while. We’ll be on the lookout for hobbits! so excited for you guys and proud of your accomplishments so far! Is that second photo at Duzy Basin with Fin Dome in the background? I haven’t been there for 25 years or more but it looks familiar. I have hiked the Milford Track in N.Z. as have thousands of others, and attempted Mt. Katahdin once but lost the trail in a snowstorm above timberline and retreated. Keep me posted.. I will love to follow your adventures. That is Fin Dome all right, from the Rae Lakes loop. Well spotted! It will be great to hear your perspective on our travels, since you’ve experienced those places yourself. Cheers! Yay! Wonderful news! Am so looking forward to hearing of your futue wanderings. Hope your prep time goes well. Preparation is really fun for us, as we anticipate and learn about a new trail. Thanks Suzanne! Wow! That’s exciting news, Chris and Anna! I wish you great success in finding a means of support. Your blog has been very interesting so you may be able to sustain yourselves from it. Thanks Gene! Everyone’s interest in the blog is one reason we decided to go this route. We hope our audience will continue growing over time through word of mouth and in other ways. Wow, how exciting! Have you thought of doing Kickstarter or even something less formal so that your excited readers can chip in $20? Those are both good ideas, thanks Stu! We will definitely look into them. Please let me know when you are approaching Rangeley, Maine. We are right near the AT and would love to host a rest stop near the end of your journey. Thanks Helen, that sounds wonderful! It would be great to see you. Are you going to settle in Fort Collins & get jobs & then go back ‘home’ to the wilds, or postpone Ft. Collins & get back to your REAL home? National Geographic would be great! We don’t have any contacts there, though. Fort Collins is postponed for now. We aren’t settling down quite yet! So where are you guys hanging out this winter? Let me know if you will be in SF bay Area anytime. Would love to see you guys! No immediate Bay Area plans, but I’m sure it will happen eventually. For now, we’re enjoying visiting family in Ohio and Pennsylvania. 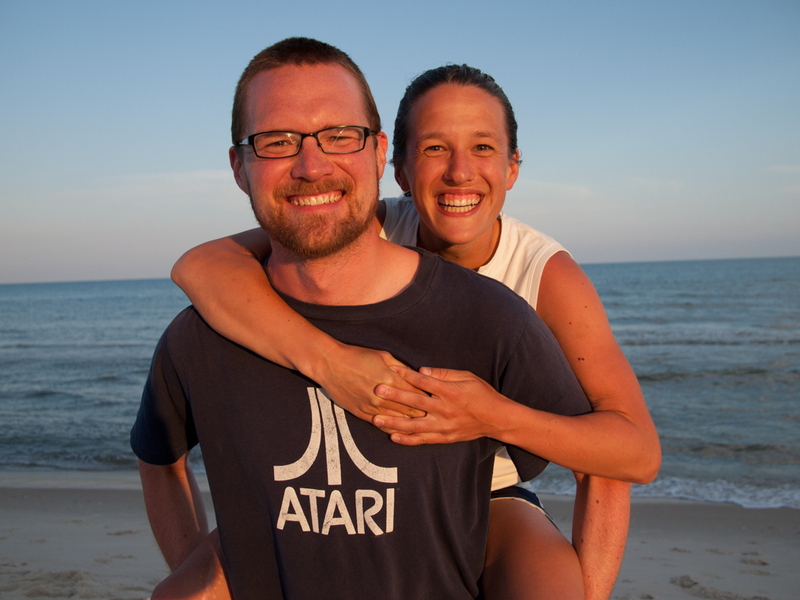 Congratulations, Anna & Chris, on an exciting 2013! Looking forward to reading and seeing those exquisite photos covering your adventures. All the best! Thanks Sabrina, we’re looking forward to it too! Hey Shutterbug & Northstar! I’m grateful to be one of the many to offer you congratulations on your completion of the PCT! I’m was fortunate enough to talk with the two of you back in June at Vermillion Valley Ranch along the John Muir trail, and I just wanted to thank you for giving me one of your blog cards. After completing the JMT, my friends and I have been following your adventures up to canada, and have been left inspired by your phenomenal photography and thorough descriptions along the way. I’m not kidding when I say you two are the soul inspiration for a thru PCT hike consisting of myself and five others in 2014. I look forward to following your future endeavors and Shutterbug’s work in photography in the years to come! Wow, that’s wonderful news! You will love it! In the next few weeks we’ll be posting gear reviews so hopefully those insights will be helpful as you prepare for the PCT. Hike on! Sponsors, huh? As I was reading your plan for more thru hikes, I was wondering where you would get the money. Good luck! I was going to suggest seasonal work at vacation spots. Thanks, that’s a solid suggestion. We met a few thru hikers that work in ski towns during the winter and hike over the summer. If we can manage it, we would prefer to support ourselves with sponsors in part because it’s nice to promote small businesses with an environmental mission. For example, all of our PCT food from our sponsors was nutritious, produced with organic ingredients, and super duper yummy. You can’t beat that! Dearest Anna & Chris – will think on sponsors but key is to act now on the targets you have already id’ed as they are allocating 2013 spend over the next 2 months and you want to be in their consideration set. I am sure you are! Steve can share advice on getting sponsors for the Chicago Shoreline Marathon (kayaking race). We will send the new link around to our friends. Now Chicago is where all the cool kids hang in the winter ha ha after they exhaust the charms of Columbus but you are welcome to stay here at our house for however long – got room, work space and bandwidth. And a dog. Cool, thanks Lisa and Steve! It would be great fun to visit you in Chicago. Maybe we’ll come hang out and paddle a bit with you in January or February, though we might need wet suits! And thanks for the encouragement on sponsors. We emailed a few companies today. Will give this another go — couldn’t get my comment to work with links, but maybe some spelling out of those linkswill help! Thought you might be interested in a hiking blog directory that Philip Werner of Sectionhiker dot com (great blog re: all things backpacking) has put together. It is hiking-blogs dot net and offers a great way to get exposure. Folks can vote for your blog and they do promotions through various sponsors and vendors. Not as great as direct sponsorship, but might be another way to get your awesome adventures, pictures, and reviews noticed! Would love to see your site submittef there as it would be one of the first I would vote for! Cheers! Thanks very much for that suggestion! We just submitted our blog, and it should appear there soon. Thanks again for sharing this and offering to vote for us. Normally I don’t read article on blogs, however I would like to say that this write-up very forced me to take a look at and do so! Your writing style has been amazed me. Thanks, quite great article. Thanks for the link! We’ll look that over as we plan for our Te Araroa hike. Cheers!